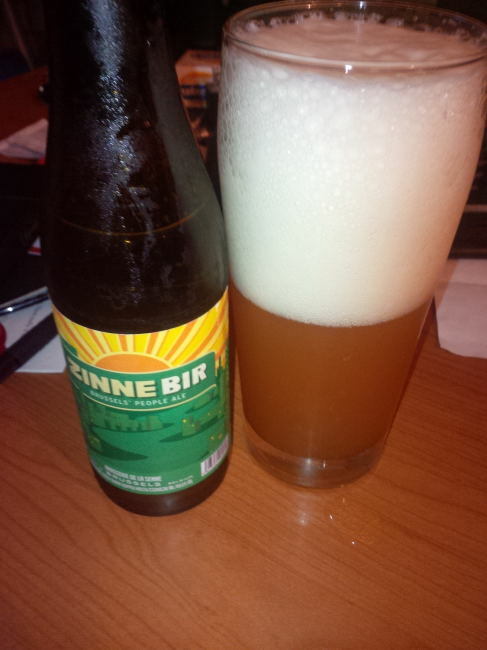 From the Brasserie de la Senne in Brussels, Belgium comes their “Zinne Bir” a Belgian Style Pale Ale. The Pale Ale pours a hazy yellow colour with a HUGE white head. The aroma consists of Floral hops, oranges, tangerines and malts. The flavour is of malts, Belgian yeast, pepper, mild hops, citrus, orange and tangerine. The alcohol content comes in at 6%. This is a very highly rated beer and I can see why as it is exploding with flavour! 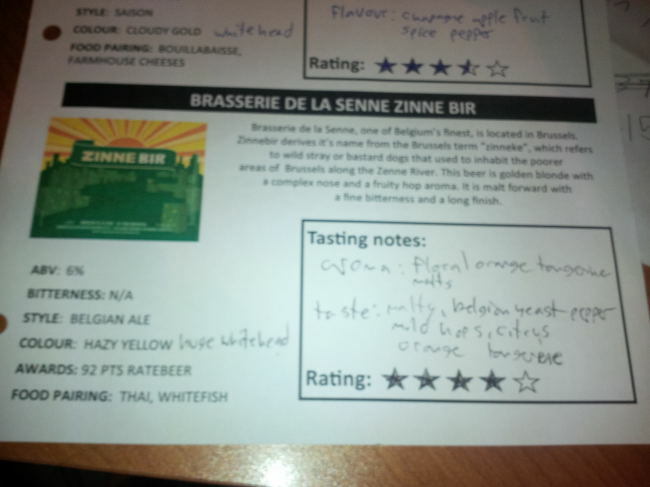 This entry was posted in Belgian Pale Ale and tagged beer, belgian, belgian pale ale, belgian yeast, belgium, bitter, bitterness, brasserie de la senne, brussels, citrus, hops, hopy, malt, malts, malty, mild hops, orange, pale ale, pepper, tangerine.